The government stares at 42 per cent higher oil import bill in FY19 compared with FY18. The $125 billion import bill for the current financial year is high but it is still not the right estimate. New Delhi: The government finally acknowledges that rising oil prices and depreciating rupee would severely dent the government resources, putting further pressure on deteriorating deficit position and creating hurdles in the path a faster economic recovery. As per latest estimates by the oil ministry’s Petroleum Planning and Analysis Cell (PPAC), country’s oil import bill may balloon to $125 billion in FY19, a growth of 42 per cent over $88 billion paid for oil in FY18. This will make oil import bill for FY19 the highest in the five years of the Narendra Modi government and very close to high import bill during UPA-II when the crude oil prices had breached all records to touch close to $140 a barrel mark. The Centre has so far maintained that though rising oil prices was a concern, it still remained manageable without upsetting the macro economic fundamentals of the economy. But sources now say murmurs have already started in the corridors of power that oil situation should be taken seriously as inaction could mean sharp cuts in populist government’s expenditure ahead of 2019 general elections. “The $125 billion import bill for the current financial year is high but it is still not the right estimate. 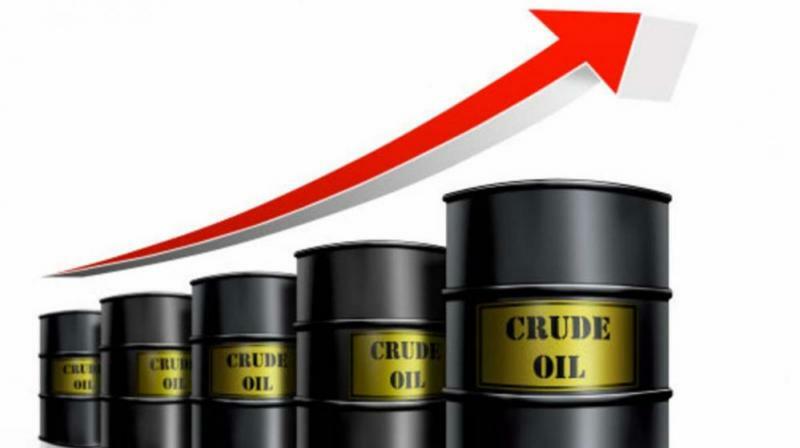 Oil import bill could increase further as high crude price will rise further during the rest of the five months of the year, especially after the US sanctions on Iran becomes a reality. Further, pressure on the rupee could also dent estimates,” said an oil sector analyst asking not to be named as he was still making his calculations on oil imports. PPAC estimate has also taken average price of the Indian basket crude oil for September 2018 at $77.88 a barrel and average exchange rate for September at Rs 72.22 to a dollar to arrive at its import estimates. The benchmark Brent oil price is already higher at $79 a barrel and is expected to start rising again in November when the US sanctions on Iran comes into effect. Analysts also expect the rupee to depreciate further, completely changing the oil mathematics for FY19. If crude price rises by $1 per barrel, the net import bill will increase by Rs 6,158 crore. And if exchange rate increases by Re 1 to a dollar, the net import bill rises by Rs 6,639 crore. This PPAC estimate, is based for period between October 2018 and March 2019. Its not just higher import bill, but rising crude could also put additional burden of subsidy contribution on state-run upstream companies – ONGC and OIL, and also gas transportation company GAIL. Upstream contribution has been suspended since FY17 giving enough room to these companies to improve profits. Already, oil marketing have been asked to absorb RS 1 increase in retail price of petrol and diesel, an exercise that could severely dent their profits. While the recent spike in oil prices has alarmed the government, it is worth noting that fall in crude prices has resulted in big savings for the country in FY16 and FY17. India’s import bill nearly halved to $64 billion in FY16 even though the country imported higher 202.1 million tonnes of crude oil in that financial year. This compared with import of 189.4 million tonnes of crude oil for $112.7 billion in FY15. In FY17, the import bill, however, rose marginally top over $70 billion. The lower import bill came on average crude price of around $46.17 a barrel in FY16. In FY17, the average crude price increased marginally to just over $47.56 a barrel. The Indian basket of crude oil averaged $56.43 a barrel in FY18. After collapsing in mid-2014 due to a supply glut, crude prices remained low for three years. In fact, it touched $30 a barrel early in 2016. But in the last few months it has gained sharply. Sanctions on Iran could result in some supply disruptions. This could just be the beginning of further bad news for India. Iran is pumping nearly 4 million barrels a day of oil since the 2015 nuclear deal with six world powers that lifted crippling sanctions on the country. A major disruption in Iran could send crude prices sharply higher just as the oil market is emerging from a prolonged period of oversupply. Iran was India’s second biggest supplier of crude oil after Saudi Arabia till 2010-11 but western sanctions over its suspected nuclear programme relegated it to the 7th spot in the subsequent years. In FY17, Iran again became third largest oil supplier to India with its supplies jumping to 27.2 million tonnes.